Meet the women who have leveled the culinary playing field in SMA. In the past decade, cooking has become a glamorous profession but being a chef is both physically and mentally challenging; a career for which few people, including women, are cut out for. These women are the exception. When I first made the inquiry two months ago, I was told there were just a handful of female chefs in SMA but as I continued to ask, more and more women stepped forward; beautiful, passionate, strong, confident, educated, articulate, doubly committed, and accomplished women. They are all amazing. With a few exceptions, most of the women on this list have never been in the spotlight until now. Some of the best chefs in the world got practical rather than formal training. Twenty-two of the thirty-four women on this list were formally trained in culinary schools and internships in Mexico and around the world. Although you don’t need a degree to become a chef, it does hasten the process. The women who became chefs without formal education worked hard under talented chefs and say that training was the best education for them. 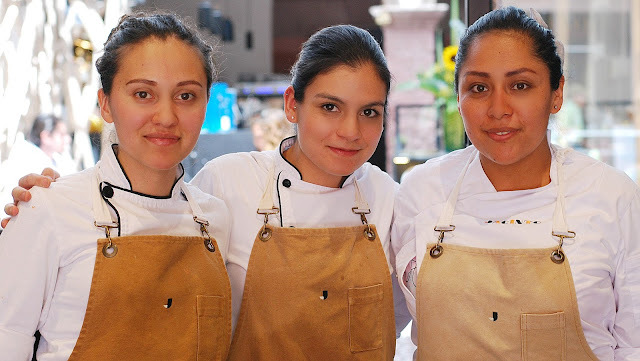 For years, women have done remarkable things in the Mexican kitchen. What makes these women special is that they all have an incredible drive and supportive mentors who recognized their talents and encourage them pursue their gift. As a result, they are all successful, empowering the next generation of women to follow in their footsteps. There is strength in numbers and this new culinary force is out to prove just one thing: when you’re this good, everything else that happens in the kitchen is pretty much insignificant. 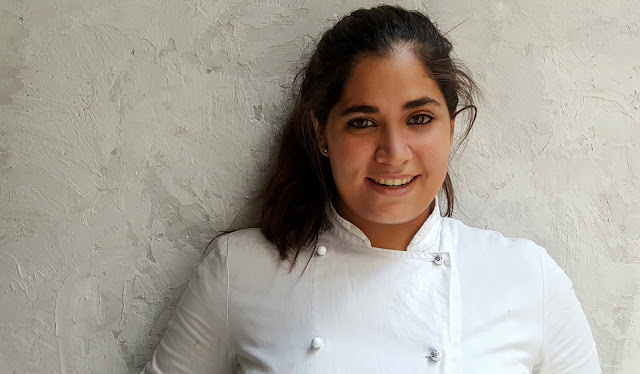 Alexandra Gutt is the chef at La Parada, a graduate of Le Cordon Bleu in Lima, Peru and is responsible for heightening the profile of mouth-watering, Peruvian flavors in San Miguel. She completed her training at the Ritz Carlton Hotel in Naples and the Cayman Islands. She moved to SMA and opened La Parada with her husband Juan Leon. La Parada has consistently been in the top ten on Trip Advisor since it opened. She recently took a trip to Valle de Guadalupe to learn more about Mexican wines and was fascinated that the wineries are making such remarkable blends. She relishes the authenticity but is not a big fan of eating insects. “Just the thought of having a grasshopper leg stuck in-between my teeth makes me crazy.” She does eat popcorn by the ton; she’s addicted to it. Many of the women on this list picked La Parada as one of the best places to eat in SMA. When Ale was young, she hated seafood. Seafood is now her favorite thing to cook and eat. Plenty of people in SMA love Ale’s seafood, too; the ceviches at La Parada are legendary. Chef Brenda Rocio Segura Trejo’s passion for the kitchen started early. When her father died, her mother returned to work and Brenda was left to cook for her two brothers. She says, to this day, that cooking brings great joy to her life when she thinks about the early days. What put her in culinary school? 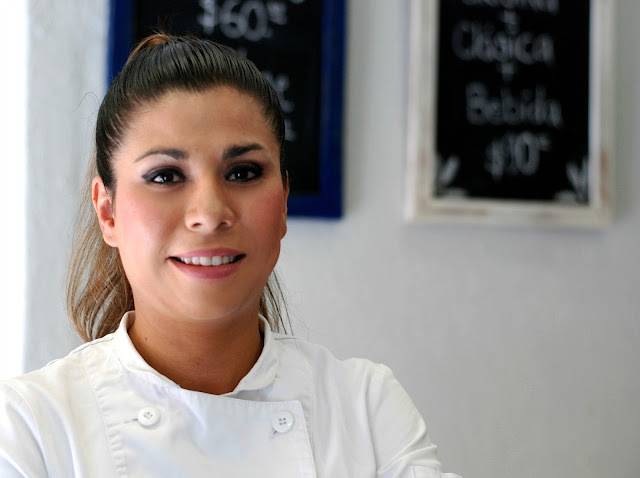 When she was just 12 years old, she was fanatical about Mexican football and dreamed about being the official cook of the Mexican national team. Brenda graduated from CUIM - Centro Universitario Internacional de México - in Celaya and did her internship at the Crown Plaza Hotel in Acapulco. She frequently returns to her hometown, Caleras of Amexhe, Gto. (Population about 1800) where her grandmother lives. Her grandmother is the person who taught Brenda how to cook and still inspires her culinary endeavors today. Brenda loves wine and would like to be a sommelier one day. She’s a quick study as the sous-chef at Zumo, a SMA fine-dining restaurant that’s famous for their food and wine pairings. 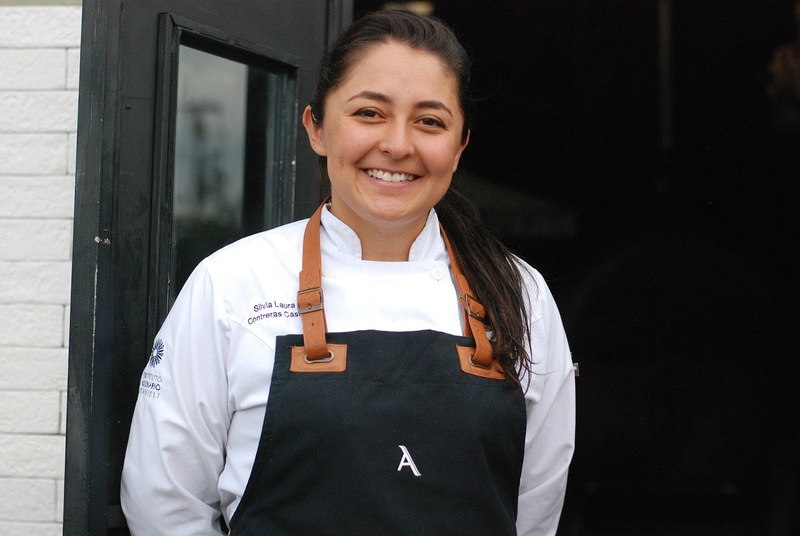 Chef Carolina López Juárez is the product of great mentoring. When she was young, she was inspired by the cooking of her mother and grandmother and learned to make pastas. With Chef Mariano Alverez at Buenos Aires Bistro, she’s been taught the fine art of stuffed pasta, sauces and grilled Argentinean foods. She never says no to an opportunity and when she started with Mariano, she was his right hand. Through Mariano's support, she gradually gained the confidence and he eventually made her sous-chef. It’s a title that she earned every step of the way. Alverez speaks of Carolina with great affection. “Did you know that she has never called in sick in 5 years and has been late only a handful of times because of her bus from Comonfort.” “Now that’s a commitment,” he says. Carolina likes to cook traditional Mexican cuisine and wants to travel to Bangkok and learn more about Thai food. She finds the flavors of Thailand irresistible, where harmony is the guiding principle behind each dish, hitting that certain sweet spot to balance all the flavors. Chef Christian Guzman’s father has dedicated his life to agronomy and the fields so she’s tried some of the most ordinary and exotic fruits and vegetables in Mexico. Christian graduated from Mausi Sebess in Buenos Aires, Argentina where she developed four specialties: cakes, breads, desserts and chocolates. She was trained at an industrial kitchen, a kind of kitchen boot camp, where they served 1500 meals a day with a staff of four people. She did banquet work for awhile and was hired by Bob Thieman at Hank's New Orleans Cafe and Oyster Bar. She is now at Mansion Virreyes, a hotel in Centro, where she is the chef in charge of new projects and event creation. She’s a natural when it comes to planning large parties and has an unconscious love affair with everything related to communication: hosting a cooking program on Televisa in Piedras Negras; working as a photographer for Periodico Zócalo Magazine; doing DJ stints on local radio programs and has even done singing competitions. Chef Christian Guzmán is opening a new restaurant in Centro before the end of the year. Stay tuned for an update. Claudia first started making pies with her German born great-uncle Jimmy when she was just 7 years old, spending all of her summers in his Los Angeles kitchen. Claudia developed a love of baking early on just like Dulce, her assistant Caro's daughter, who is nine years old. Claudia has mentored her for over four years since she first started the bakery when her husband retired. She's won over a large base of steady customers including Juan’s Café, her first customer, sells at La Pulga every month and is tied in to a number of major wedding planners in town. Weddings are big business for Claudia. Her kitchen confidential: she makes everything fresh with no preservatives. In her next life, she would like to go to Italy, a country where the regional and cultural diversity of its’ twenty regions give her plenty to master in the way of making tarts and pies. For now, the people of SMA are partial to her sweet and savory pies, especially the lemon meringue. 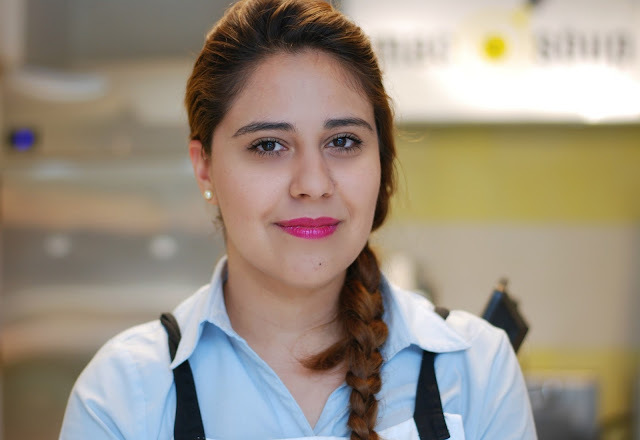 A graduate of Universidad del Claustro de Sor Juana in Mexico City, Daniela is passionate about La Cocina Dulce. She was hired as the chef at L ÔTEL and MAC and SÔUP in Doce-18. When LÔTEL opens later this summer, she will also do breakfasts for the guests who stay at this stylish, new hotel. Daniella is trained in Capoeira, the Brazilian martial art that combines elements of dance, acrobatics and music; plays the Brazilian Birimbao, a percussion string instrument; has studied Portuguese and was part of a Roller Derby team in Mexico City before moving to SMA. Her favorite place to go in SMA is XV on Cuna de Allende where the Paroquia views are second to none. When she’s home, she’s making her specialty dishes: mole rosa and Panuchos, a dish from the Yucatan. If it were the last weekend on earth, she would be in Sydney, Australia where she would eventually like to go to learn more about the food. In fact, she wants to do a lot of traveling to further develop her personal style in the kitchen. She loves the taste of vanilla; her favorite book is Like Water for Chocolate. Her mother and grandmother taught her to always cook with love; the main ingredient that’s mixed into every bowl of her Mac and Cheese. 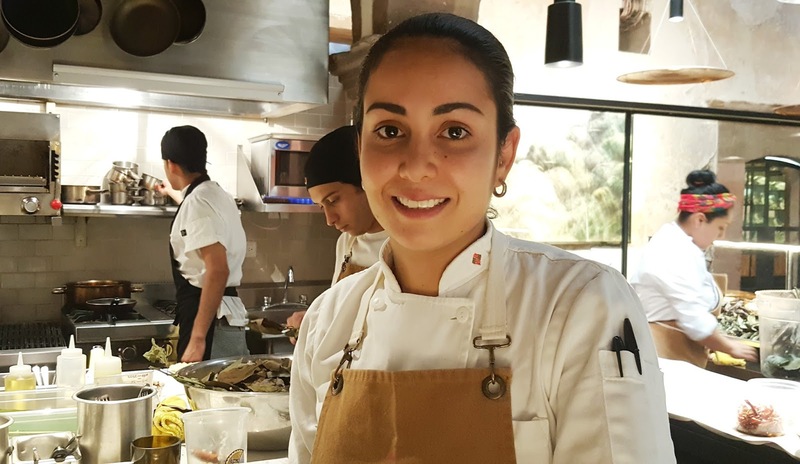 Chef Dina Butterfield graduated from the Instituto Gastrónomico Corbuse in Queretaro and describes herself as passionate, loyal and determined. Dina traveled to Brussels to work as an Aupair, lived in San Francisco and worked at Eccolo, a restaurant where she was trained in charcuterie and developed her passion for Japanese cuisine. She also worked at Ame, an Asian-inspired, Michelin one-star restaurant in the Mission district of San Francisco. 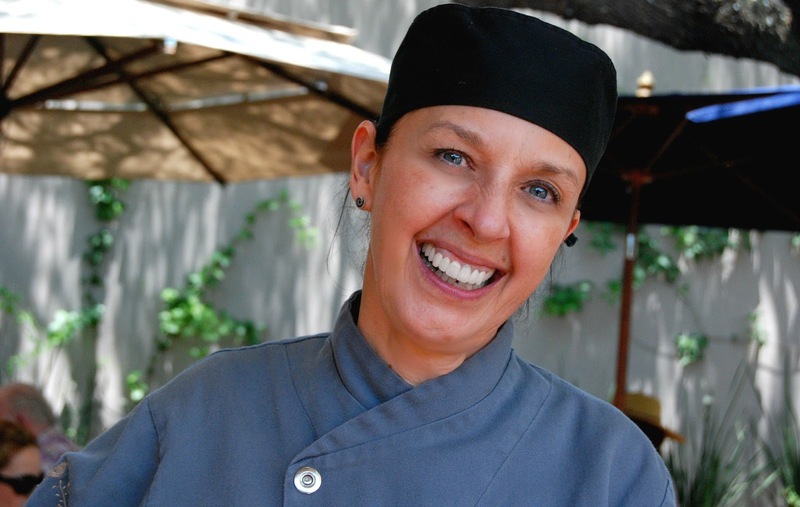 In 2010, she returned to San Miguel de Allende and worked as a chef at Dos Casas. 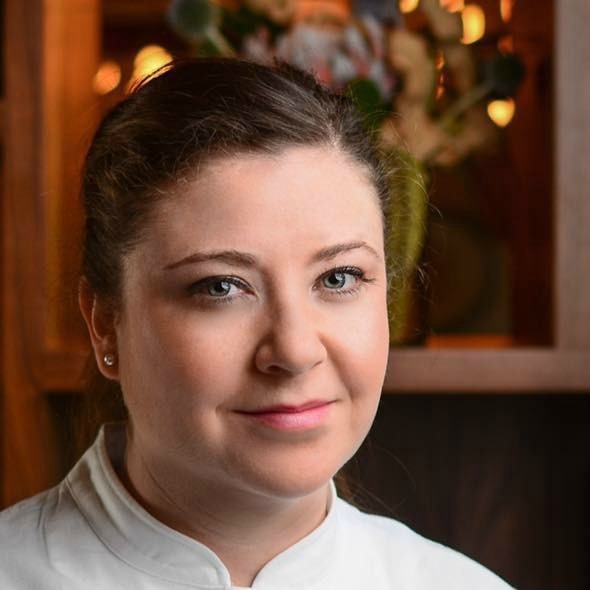 She moved to Dallas and worked as a sous-chef at Rosewood’s Mansion on Turtle Creek and then moved to her current position at Uchi, a restaurant serving modern Japanese cuisine. Dina’s biggest mentor, Chef Greg Dunmore, always told her to believe in herself and to go for she wants. To this day, she still calls or texts him for advice. Tokyo is on her travel radar next. True to her Mexican heritage, she loves making chilaquiles. She currently resides in Dallas and regularly comes back to SMA to cook for friends and family. Photo by Dan Padgett. NOTE: Back in 2010, when SMA’s culinary boom was in its early development, Dina was one of the few female chefs in SMA. 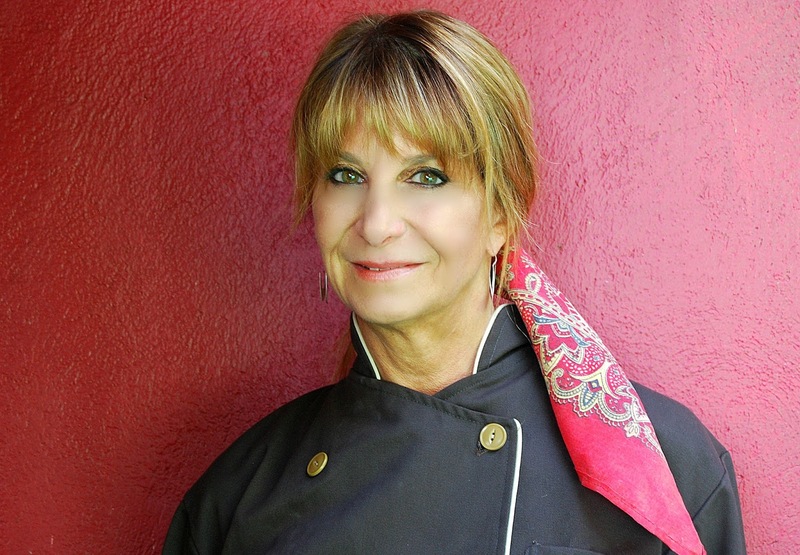 We salute Dina for paving the way and inspiring others to embrace their dream of becoming a chef. This mother/daughter team is inseparable and that’s why we left Chef Elisa Cordova, one of the original female chefs in SMA, on this list instead of with the Maestras, who will be featured next month. Elisa started out as a baker and ended up as a pastry chef in her father’s restaurant in Acapulco, where she made desserts for other caterers. She came to San Miguel because she was in love with who is now her husband. For her initial years in town, she worked at Cumpanio and finally opened Garambullo Fonda Gourmet, a family owned restaurant with her daughter Jimena. Elisa says of cooking that it was always the family’s favorite things to do; a time where they share so many moments of love. Different as night and day, Elisa loves cooking seafood while Jimena loves to bake. 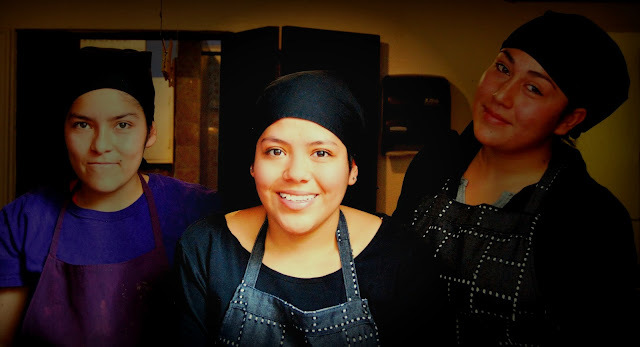 For their specialties, Elisa makes Octopus from her grandmother’s recipe and Jimena bakes cookies and desserts. If it were the last weekend on earth, Elisa would be eating in a Greek port and Jimena would be in India, where she's had some of the best food she's ever eaten. Jimena Tamayo is a makeup artist by training. She said that if you buy one thing for your kitchen, it has to be a PINK Kitchen Aid. Rosa Mexicana is the family color. Garambullo Fonda Gourmet is dominated by this stunning pink wall where we captured the two of them sharing coffee and a spirited morning laugh. Chef Gaby Green is on top of her game at Aguamiel cocina rustica, her fifth restaurant and some say her best venture yet. We couldn’t agree more. Gaby was born and raised in Mexico City by Mexican and European grandparents. Both of her grandmothers were great cooks from different cultures but with an excellent sense of food. In fact, everyone in Gaby’s family cooks and they love to gather regularly to enjoy different types of cuisines. Gaby’s favorites are Mexican, Asian and Arab. Gaby had a successful career in film before she started cooking. During that time, she did a lot of international travel which included eating in some of the world’s best restaurants. Twenty years ago, she found herself under the spell of San Miguel and wanted to stay. Still in film, she brought the first art film festival to San Miguel. Cooking was always her other passion and she ultimately decided to change her path for something more personal that she could share with people. Her specialties are a Mexican Mole Soup with Wild Mushrooms and Pork that is seasoned with Chile Guajillo and Ancho. It’s her Grandmother’s recipe. She’s also famous for her flan. Last fall, with her partner Jennifer Posner, she traveled to Myanmar and Thailand, taking cooking classes, chef-to- chef, and fine tuning the Asian recipes Gaby already had in her library. 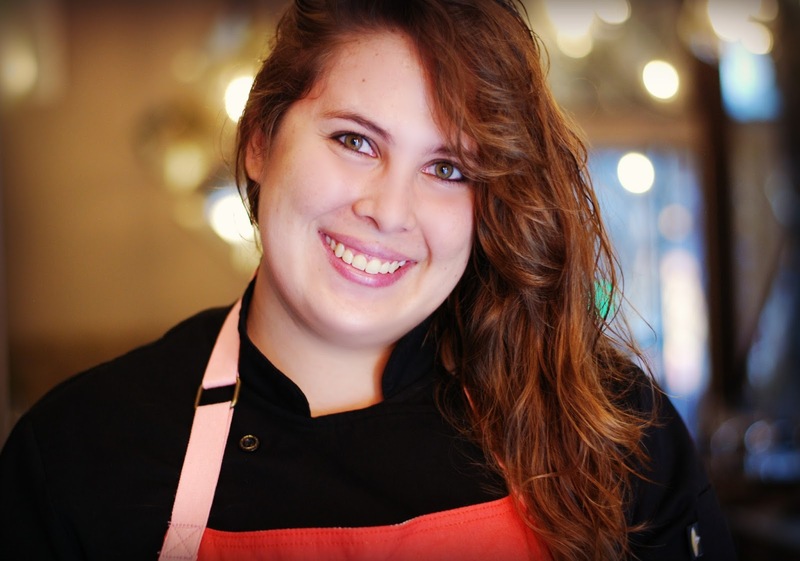 Gaby has that instinctive feel for what pairs well together and understands how to balance flavors. They recently traveled to Cuba, incorporating Cuban dishes into aguamiel’s menu when they returned. We can’t wait to taste where Gaby’s going next. 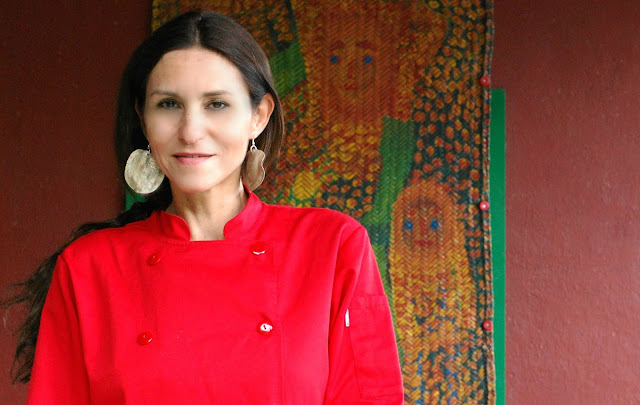 Chef Gabriela Hernández first studied psychology before she decided on a career in gastronomy. She’s a graduate of the Universidad del Claustro de Sor Juana in Mexico City and worked at the Rain Forest Café and at Italianni's during school. She did her internship under Monica Patiño (MP Café Bistro), at oriental restaurant O'mei and at the Hotel Nikko Reforma. She returned to work for Monica Patiño at Restaurante Naos and later at Delirio. Like many of us, Gabriela moved to SMA for a slower pace of life. She first worked at Dos Casas as manager of their wine bar. A few years later, she joined Donnie Masterton at The Restaurant, where she has been a sous-chef for the past 7 years. “At all costs” she says she’s content to stay in San Miguel with her five year old daughter, three small dogs and two Japanese fish. Her specialty dish is pork cheek and newly discovered ingredient is lemon zest. She says of her boss, Donnie Masterton, that he’s always presenting new challenges but gives her unlimited support and encouragement to accomplish them. Is there another restaurant in her future? She certainly has her pick with all of Masterton’s recent openings and rumor has it there’s another new one in the works. Stay tuned. Chef Ivonne Zapata Molina Agacio graduated from Le Cordon Bleu in Mexico City and attended the Instituto Gastronómico Letty Gordon and Escuela Gastronomica Dulce María Escobar. She taught at Escuela Gastronomica Dulce María Escobar, giving cooking lessons to children attending summer camp there. 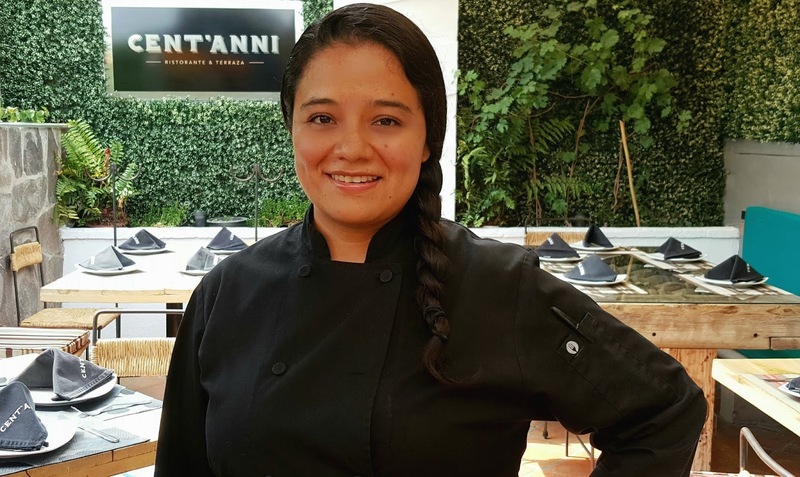 After a partnership in a Starbucks store, she worked as a teacher in Hermosillo at ICATEC culinary school and at Mundo Chef. She took on the role of personality at Azul Marino Radio, talking about seafood and recipes and also wrote about cooking for a small magazine, Familia. She moved back to Mexico City and after a month and a half, was offered the position at San Mike’s in Doce-18. A friend of her father’s, who was a chef, influenced her cooking. Get a dose of her vivacious personality and you’ll realize that she’s the bon vivant her father always said she was. 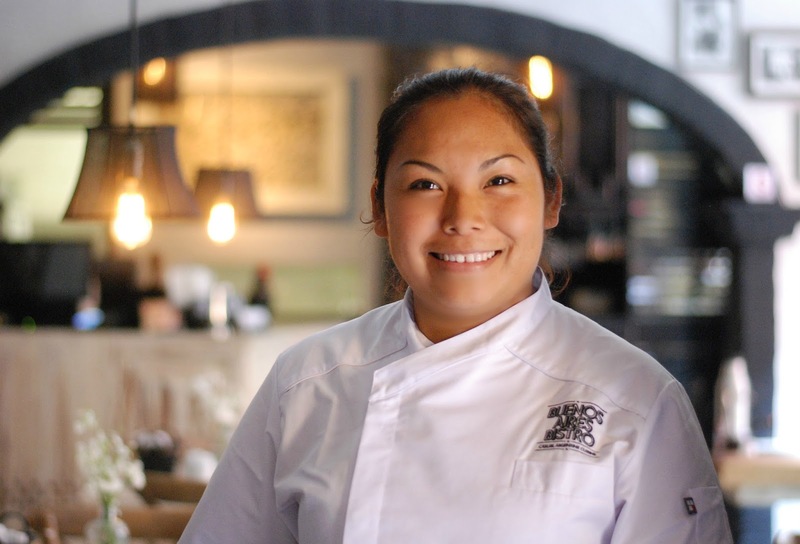 Chef Karla Becerra Martinez is the product of her mother’s cooking. With no formal training, she’s turned Lavanda Café into one of SMA’s most popular restaurants. Karla says she remembers herself as a chubby, little girl, always arguing for her right to have a proper and delicious meal and taking everyone’s leftovers. Karla is a graphic designer by training but transitioned to cooking when she decided that design work was not for her. She has incorporated many of her mother’s dishes on to Lavanda’s menu. Her design training is obvious every time she plates a dish. She’s always loved food more than anything, she says, but don’t get her started about Bel canto, opera or classical music until after you get your breakfast. In her next life, she’s coming back as Ángela Peralta. Chef Laura Buccheri is one the most accomplished Italian chefs in SMA. A purist, Laura and her husband Justin make over twelve types of cheese, all of their own bread and their illustrious Limoncello. She grew up in Barcellona Pozzo di Gotto, in Messina province, and like any large Italian family, food was a key part of their life. She was an actress for 10 years, and then got her professional cooking start in one of the finest restaurants on Lake Como, Trattoria da Angela, where she began learning about Italian cuisine from French-trained chef, Adriana Zedda. Laura spent hours watching Adriana cook. Like Adriana, Laura has a talent for desserts; her panna cotta and lemon custard desserts come directly from Adriana's little book of culinary secrets. She went on to work at AGO, Robert de Niro’s restaurant in Miami and later took a job cooking on private yachts. She eventually became the personal chef for a Russian tycoon where she was accustomed to cooking dinners for 75+ on a two hour notice for many well-known guests including Vladimir Putin. She cooked in South Africa and went on to work for another AGO property in Los Angeles, then traveled to Greece to help her uncle out in his own restaurant. She also worked at the Raya Hotel on the Island of Panarea in Italy and as the restaurant and hotel manager at Villa las Estrellas in Tulum before coming to San Miguel. Laura and Justin own a Bed and Breakfast in Siracusa, Italy. They lead culinary tours in Sicily and also teach Italian cooking classes. Laura is currently building a beautiful, new restaurant, Trattoria da Laura a Los Mezquites, located just 10 minutes from downtown SMA and is also opening La Spaghetteria in Mercado Sano. Stay tuned for opening dates. It was love at first bite for Chef Laura Carolina Burgos Díaz. When Carolina was living in France, she and her husband visited Brittany where she ate her first galette, a savory crepe made from buckwheat flour, and knew immediately that she wanted to focus on crepes. Being surrounded by the French gastronomique culture was a true influence and experience for her. Carolina obtained her CAP Boulanger (baker diploma) at Lycée Chardin des Métiers de la Restauration et de l'hôtellerie in Gerardmer, France. Later, she obtained her formation in crepes bretones through GRETA Bretagne Sud in the city of Vannes, France. Her training was at Au Fournil de Fred, a small but very traditional bakery situated in the region of Les Vosges; a one-of -a-kind place where all of the bread is handmade. There she learned a different technique of fermentation. She attended ITESM in Aguascalientes and in 2006 received a BA in Marketing. 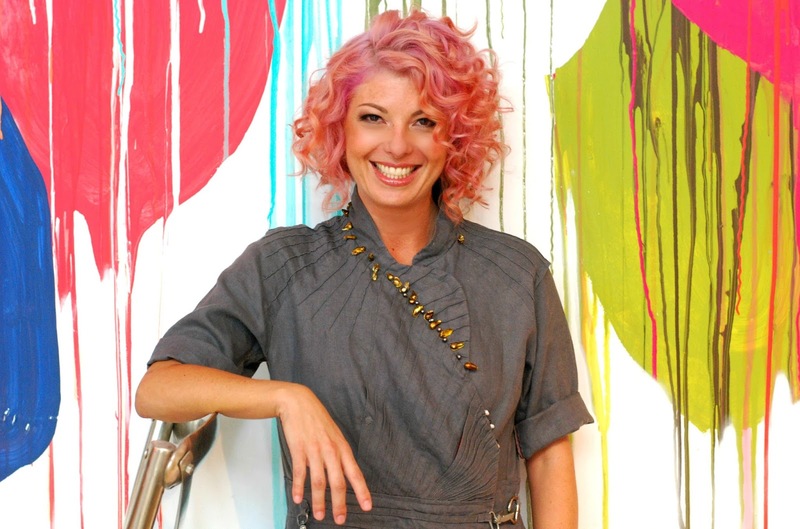 She came to San Miguel to open La Crepe de Chef with her husband Max, her major inspiration. In addition to crepes, they also make their own bread and pizza dough. She wants to travel to Japan to eat a ‘real’ ramen. “Fortunately in SMA, we have a many restaurant options”, she says. “I like to go where they offer a specialty like La Crepe de Chef… or wherever my stomach dictates." She loves Côte Rôtie, the wine of the valley of Rhône, France. She says for her, it’s the most special red in France. Chef Linnea Rufo worked in Wheatleigh, MA as a pastry chef, then went on to gain her know-how as Chef/Owner at Galleria Cafe and Catering, the Inn at Brookside, MA as an Innkeeper, Owner and Special Events Planner, was a Special Events Consultant in NYC, worked as a manager at The Mercer Kitchen in NYC and ultimately was the Innkeeper, Owner, Special Events Planner and Executive Chef at The Bee and Thistle Inn in Old Lyme, CT.
She has expertise in a wide-range of cuisines and has collaborated with chefs like Jacques Pepin and Dorie Greenspan. Her more than 30 years of comings and goings have been featured in the New York Times, National Geographic, the Huffington Post and Zagat. She credits her grandmother with influencing her cooking. She bought a wood fire pizza oven recently and is expanding her kitchen so she can teach cooking classes and hold private dinner parties. She recently returned from Italy where she says the highlight of her trip was making pizza in a vineyard in Tuscany. Like a true Oaxacan, instead of recommending a wine, she selected Mezcal. If you can only buy five things for your kitchen, she recommends a good knife, a nice table, a molcajete, a griddle and a special spoon. She loves making mole broths and her new, favorite new ingredient is Xoconoxtle, a sour and tart fruit that makes delicious salsas and refreshing margaritas. The French are renowned for their intimate relationship with food and wine and Chef Magda Elsia Pablos is no exception. She is head chef at SMA’s newest French restaurant, El Vergel Bistro and Market. She studied fine arts and worked as a model, later studying drama and working on various movies like Dune, Falcon, Connan and other productions that were filmed in México City. She also worked on Rolling Stones videos, moved to London to study at the Saint Martin’s School of the arts and then went to France to study gastronomy. She eventually attended The Epicurean School of Culinary Arts in Los Angeles to refine her love of other cultures and her distinct approach to cooking. True to her love of healthy food, she also studied organic and bio-dynamic agriculture. She learned all of the basics from her mother and grandmother and says no dish is complete until you add large handfuls of love. We can taste it in every dish she creates. 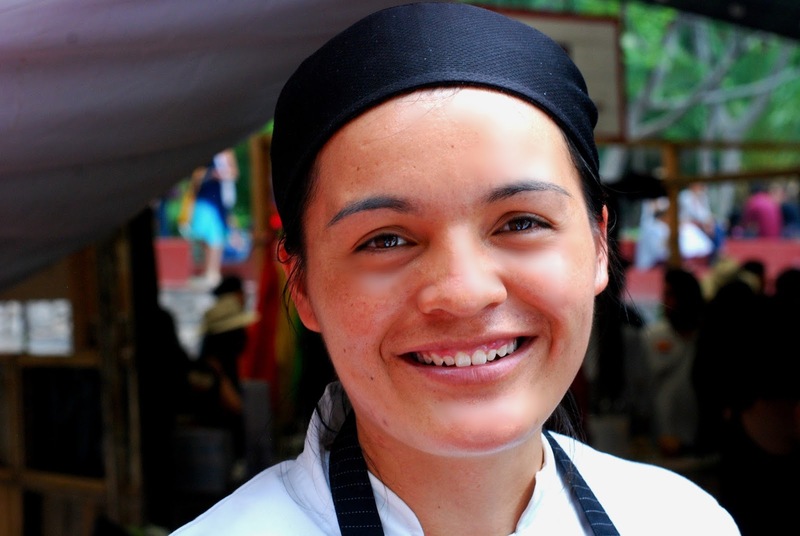 Magda is one of the featured chefs at the SMA Food Festival this year. Chef Marcela Bolaño started cooking when she was four, growing up in a home where the most important place in the house was the kitchen; its where all the magic happened. 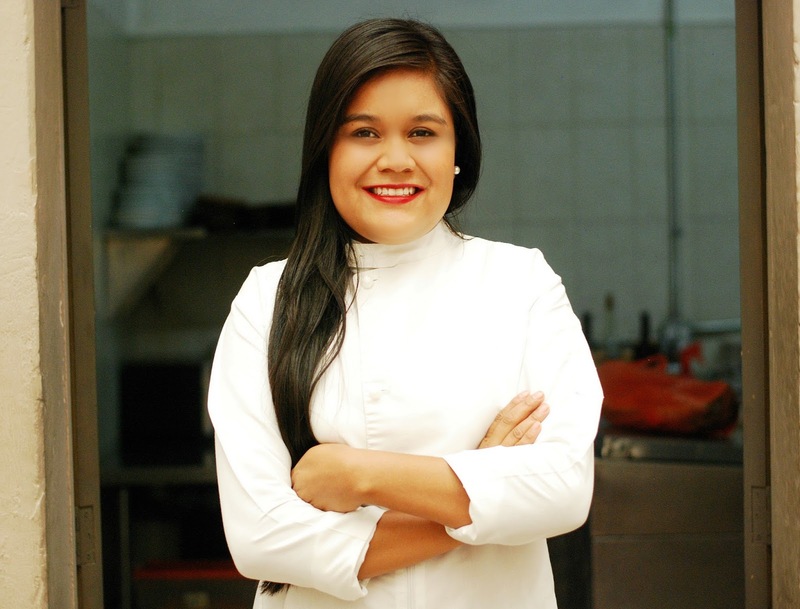 Her first job was with renowned chef Pablo San Roman. She then traveled to Hydra, Greece where she studied and learned to master Greek cooking. She returned to Mexico City and started her own catering business, serving celebrities like Madonna, Jennifer Aniston, Sharon Stone and Filippa Giordano. 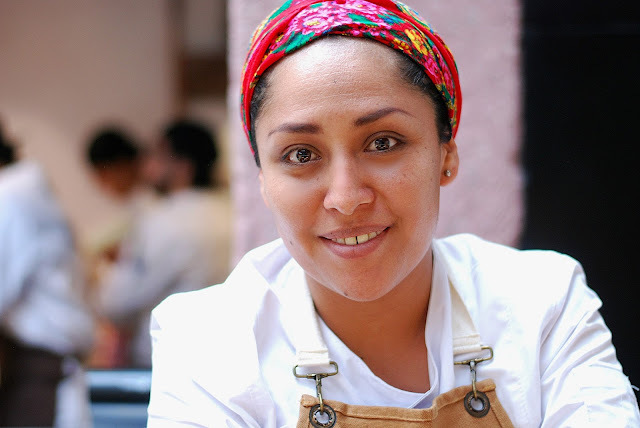 Later, she accepted a position as executive chef at Como Aristóteles en Polanco. Marcela will be opening her own restaurant, MARSALA cocina con acentos, at Hernandez Macias 48, later this year. 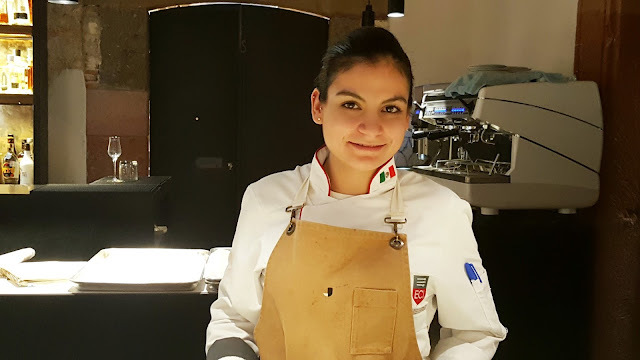 I first met Chef Mari Carmen López Aguilar when she was a student at Technological University of San Miguel de Allende at the first Sabores San Miguel back in June of 2013. Upon graduation, she did her internship at restaurant Mercatbar by Quique Dacosta in Valencia Spain under Chef Alejandro Secada Bolados. In 2014 she worked at Patio 3 Restaurant next to the Angela Peralta Theater. She’s currently at Belmond Casa de Sierra Nevada Hotel with Chef Juan Antonio Juarez Arzola. She says she is devoted to the people who played a part in her career and have given her both immense knowledge and unforgettable experiences. It’s made her exceptionally dedicated to her work. Her primary passion is sauces; chilies, spices and herbs make an explosion of flavors on your palate. She’s also enthusiastic about dry cooking methods including grilling, pan-frying, broiling, and baking in the oven. She comes from a large family, thirteen in all. As number eleven, she didn’t have the opportunity to enjoy her grandparents but she still considers them contributors to her career. Her mother was surprised she studied gastronomy but now they share ideas. Her mother is her favorite cook. How does much of SMA begin their day; with a trip to Café Oso Azul for coffee and Huevos Mexicanas made by Chef Maria Guadalupe Ramirez Soria. This little blue-washed café has been # 1 on Trip Advisor so many months I quit counting. Maria Guadalupe Ramirez Soria (Lupita) will tell you it’s because they serve a great breakfast; many people also say that her food is not only fresh but wonderfully prepared and artfully presented. Lupita describes herself as positive, motivated, creative, flexible and independent; exactly what every good chef should be. 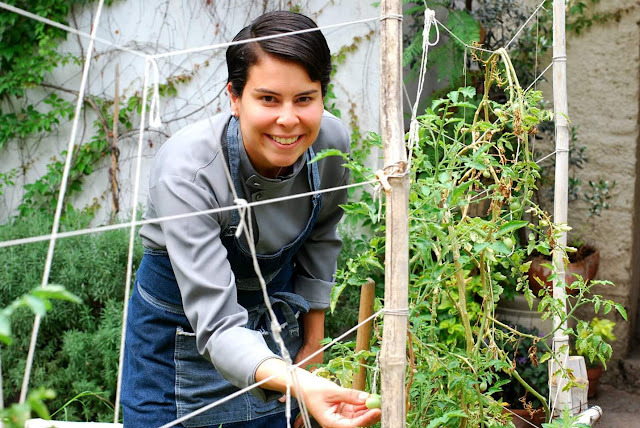 She cooked at Mama Mia for 10 years before coming to Café Oso Azul where the owner, Jens Kristian Moller, gives her a lot of freedom and confidence; two essentials for running a first-class kitchen. When Lupita is not at the restaurant, she’s trying to keep up with her children, ages 20,18 and 5. 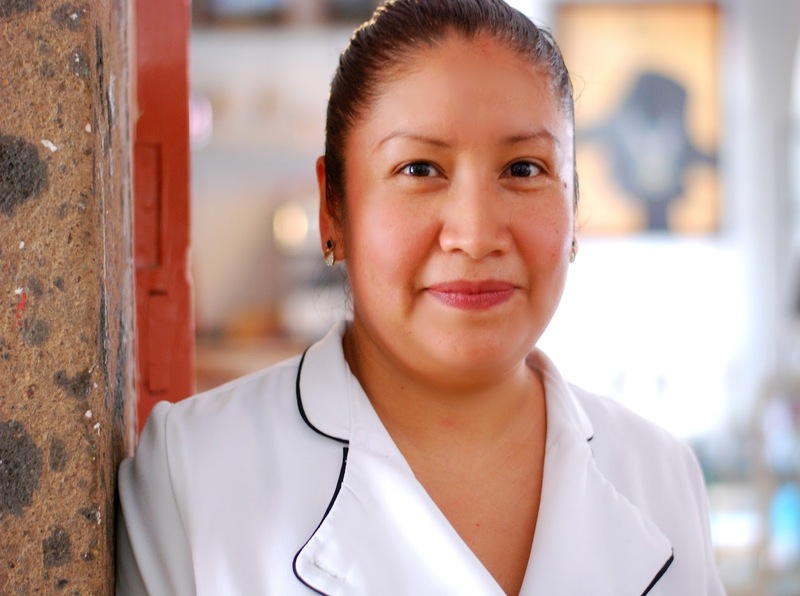 Lupita is one of the chefs on our list who is self taught. She’s earned her spot on this list because Café Oso Azul continues to maintain a top position on Trip Advisor every month; a tribute to owner Jens Kristian Moller and Lupita’s down-home cooking. 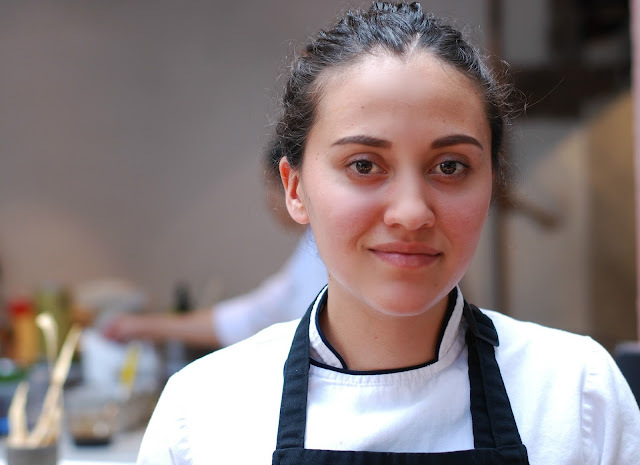 Mariana attended the Culinary Art School in Tijuana and traveled to Mexico City where she landed an internship at Pujol when she was just nineteen. She went on to learn from what she calls “the amazing women at XCATIC restaurant in Merida” and returned to Tijuana to help her friend run her food truck. Not feeling particularly challenged, she decided to return to Queretaro. When she was on the airplane back she was looking at Aeromexico's magazine and saw an article on restaurants in San Miguel de Allende. One of them was Aperi. She fell in love with the photographs and promptly emailed the restaurant to ask for a job. They offered her an internship for a month and after three weeks, they hired her full time. She says Chef Matteo Salas is the person who inspires her cooking; his ability to improvise is amazing and seeing him in the kitchen every day with such passion and dedication commands her to give everything she’s got. She is excited about classic, simple preparations, involving a lot of technique but still loves to do Birria, a recipe she learned from her grandmother in Tijuana. On her day off, you can find her making chilaquiles for breakfast and settling in to read a new cookbook. 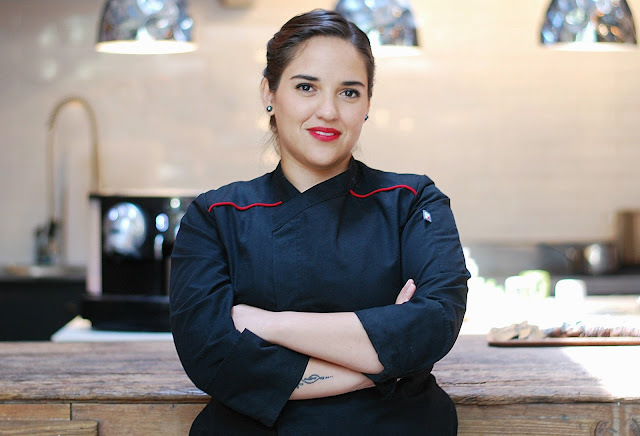 Chef Monica Marquez Guerrero graduated from Superior de Gastronomia and went on to do specialized training at Espaisucre in Mexico City. She did internships with Groupo Habita in the kitchens of Chef Enrique Olvera and at Paxia and Cool de Sac Restaurants in Mexico City. While at Espaisucre, she had the opportunity to travel to Bolivia and train for seven months at Gustu in La Paz, Bolivia. She then toured Peru to learn about its cuisine before heading back to Mexico City and taking her position with Dolcenero. Getting to know all aspects of the business, she is currently working in sales. “A good dinner never ends without a good dessert” she says. She highly recommends a Portuguese vinho verde to complement it. On her personal tastes, she says it’s simple: travel, photography and a good gin and tonic. Chef Paola Vázquez Rosendo says her career and business have been deeply influenced by her family’s Spanish heritage. 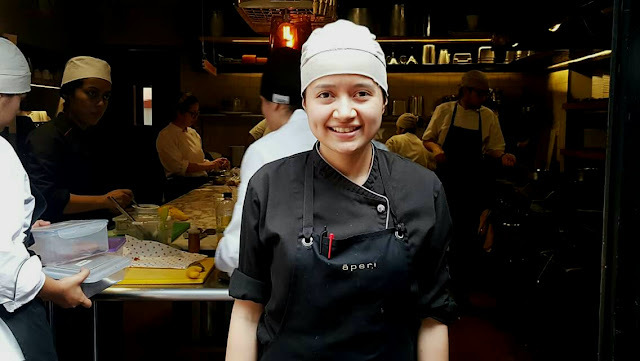 A graduate of Centro Culinario Ambrosia in Mexico City, she worked at Papalo and Papalotl, a vegan restaurant in Condesa, to specifically learn about that individual style of cooking. She says that food today is a lifestyle and there are incredible products available so she was determined to offer some specialty items at her shop inside Mercado Centro, Queseria de ti sin mi. Outside of the usual cooking shows and cookbooks, she says her inspiration comes from asking questions of older, more experienced chefs. Of her organization, she understands that the best advertising is word of mouth. Certainly word of mouth has proven to be successful for Queseria de ti sin mi, one of the best charcuterie shops in SMA. Chef Silvia Contreras was forever trying to learn to cook from family, friends and co-workers before she decided to go to the Instituto Culinario Danieli in San Luis Potosi, where she graduated and did a 6 month internship for Chef Alejandro Ruiz at Casa Oaxaca. The most popular girl in town – her family owned dulcerias – she grew up working in the family business. She’s never been a picky eater; she likes to try everything, in fact, she frequently asked for extra vegetables as a child. She likes fresh food and is constantly amazed at the amount of ingredients and variety of dishes available in Mexico. She doesn’t have a specialty dish; she changes up her preparation all the time. Her favorite dinner is still pretty basic, tacos. When asked what she learned from her mother and grandmother she says “never say there’s nothing to eat if the refrigerator isn’t empty.” She has some favorite cookbooks but also likes to read about the history of gastronomy. She calls herself a perfectionist. She loves sports; she played volleyball for twelve years, was on basketball and football teams and played in Ultimate Frisbee. 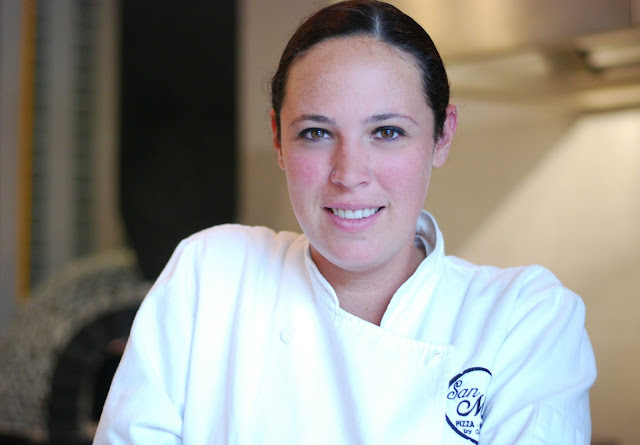 Chef Sofia Antillon owned her own pastry company in Guadalajara and eventually moved to SMA and worked as Executive Chef at Café Rama. 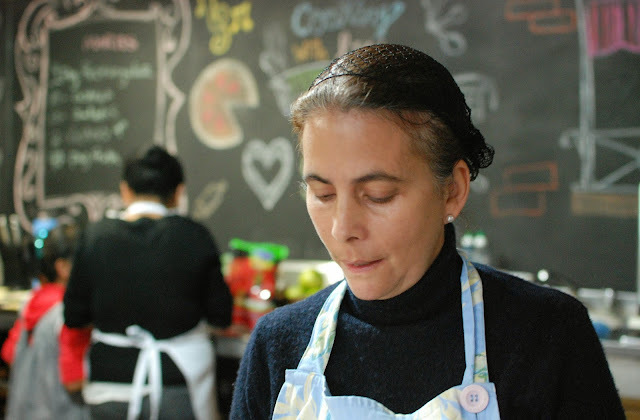 She took a break to have her son Leon and resumed her career as Pastry Chef at B’ui cocina de campo in Otomi. 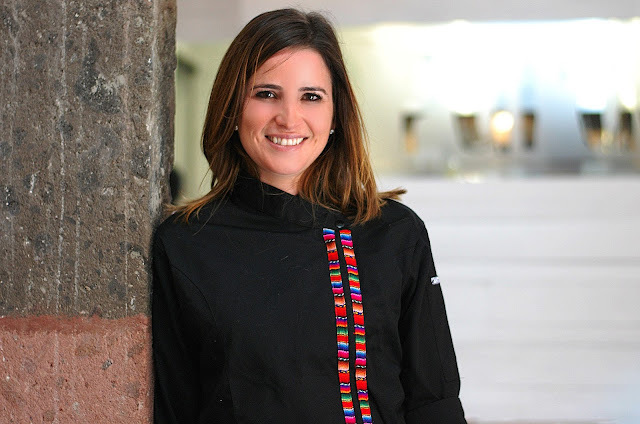 Sofia and her husband, gifted Chef Marko Cruz, bought Nomada cocina de interpretacion in Mercado Centro, where she has established herself as one of the most accomplished pastry chefs in SMA. Sofia says she gets her inspiration by letting ideas flow and risking flavors, though without much thought. Her dishes evolve and she interprets them her way. She likes to experiment and learn from her mistakes. She learned from her mother and her grandmother that everything must be very intense and full of flavor. Sofia is one of the featured chefs at the SMA Food Festival this year. 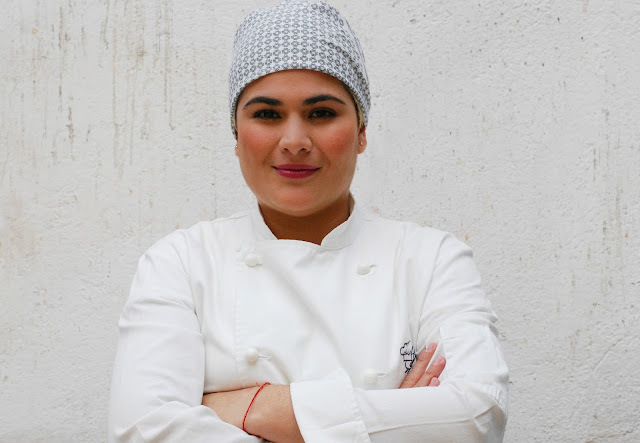 Chef Stefania Chrvez Rosales attended the Escuela Superior de Gastronomia in Mexico City and graduated from Instituto Superior de Alta Cocina (ISAC) in Juárez. 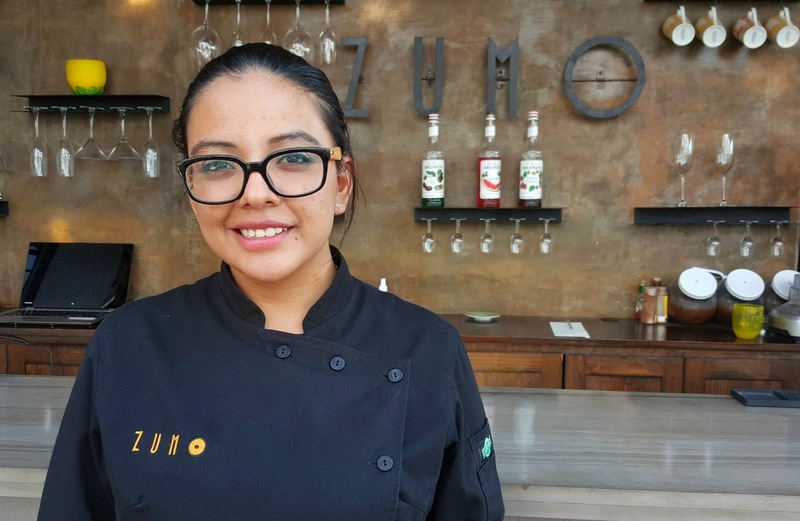 She worked as the Executive Chef at the Fiesta Inn in Juárez, was a teacher at the Instituto del Paso and opened her first restaurant, Vostock Gastropub in Juárez. To learn more about Mexican food, she took a position with PAN:AM in Oaxaca and then moved to SMA to open Restaurante Bar Vinos+Tapas featuring Spanish and Mediterranean food. She says she loves Mediterranean cuisine and is also inspired by her Mexican roots. She grew up surrounded by food and wine, where her mother and grandfather helped to distinguish her style. Stefania knows wines; Vino + Tapas was a wine store before it opened as a fine dining restaurant just this year. She hopes to start a culinary school in the restaurant and open in other cities. For now, she’s happy being a part of SMA’s dining scene. 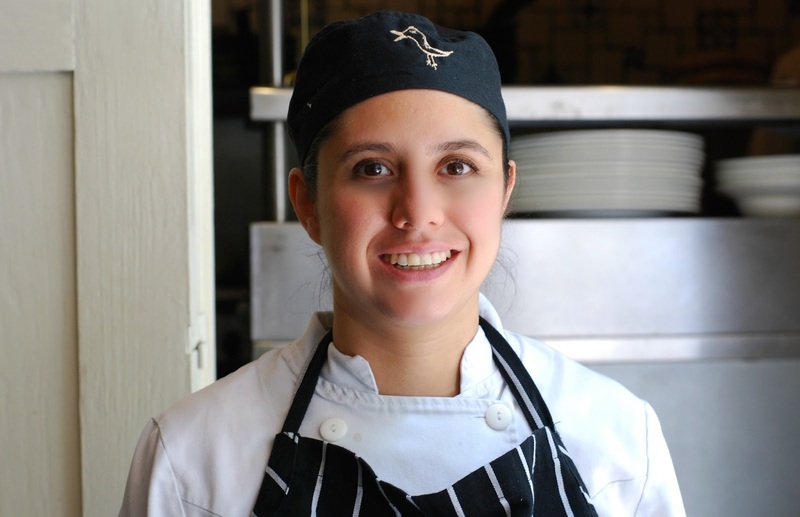 Stefania is one of the featured chefs at the SMA Food Festival this year. At the age of 18, Sunday Marie Witte joined the U.S. Air Force to see the world. She says she saw San Antonio for four years instead. Her culinary inspiration came from her grandmother, who cooked for the Elks club and the Catholic church. “The woman was a force of love and good food” she says. She came from Czechoslovakia. “Walking into her kitchen was always a place of wonder; she was always making something beautiful from very little. The memory of the smells and tastes of her kitchen will always be the standard of what a happy home should be” she says. She majored in philosophy at the University of Illinois and by the time she was 26, she was selling natural gas and electricity for Enron Energy Services. She moved to Houston and worked for Koch Pipeline then moved to a management position with Stage Stores. In 2002, when Enron and Stage Stores declared bankruptcy, she started her own brokerage firm, Very Witte Projects. She still sells electricity in the Texas market. In 2012, she moved to Mexico. She discovered she loved the time and tempo of the kitchen. 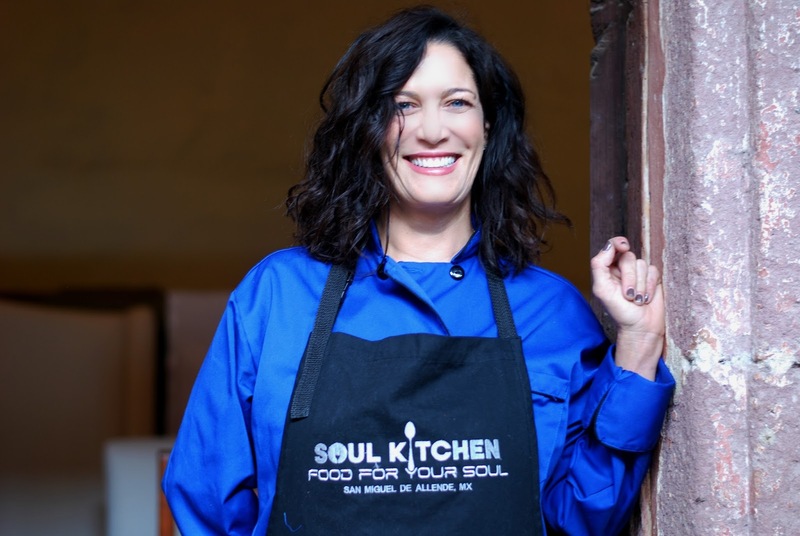 She decided to follow the path of things that made her happy and that’s when she created Soul Kitchen, a SMA e-restaurant where you can order food online. Sunday did it backwards; she’s got her practical training over with and is now enrolled in a culinary program taught by David Jahnke of UNI in Celeya. 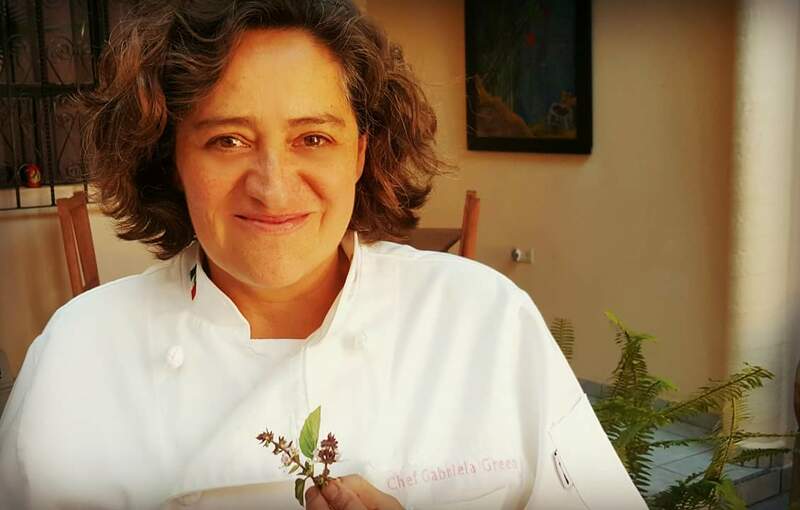 Chef Viridiana Guadarrama Angeles graduated with a degree in Gastronomy from la Universidad de Turismo y Ciencias Administrativas in Coyoacan. Her first job was in a bakery where the work seemed grueling however, by the second day, the smells convinced her that it was what she wanted to do. In her decision to become a chef, she was influenced by mother who was an excellent cook. 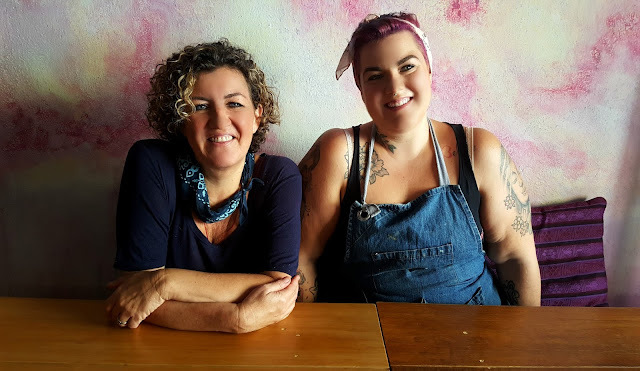 Her boss at Cent’anni has given her a lot of self-confidence in the kitchen and always asks her to change up the menu which has been a challenge but one that has proven to be rewarding and has helped her grow professionally. Her specialty dishes are Custards and Risottos. She says she very passionate about pastry, the grill and of course Italian food. If it were the last weekend on earth, she would be in Puerto Vallarta, standing on the edge of the beach with her toes in the sand eating a grilled fish. She’s in the restaurant six days a week so when she home she makes Mexican food: pozole, other soups, and enchiladas. If she were to move to any other city, it would probably be Mexico City where she lived as a child, but she says she would also like to go to Cancun, where she previously lived for 6 months. The Female Chefs of San Miguel will be an annual list, published every July. In August, 2016, we will follow up with an article on “The Maestras,” the incredible women who paved the way for the 35 women on this list.